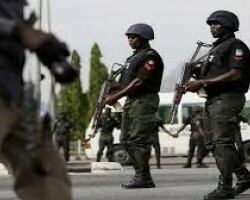 APA – Lagos (Nigeria) — The police operatives attached to the Operation Puff Adder have killed nine suspected kidnappers operating along the Abuja-Kaduna road. 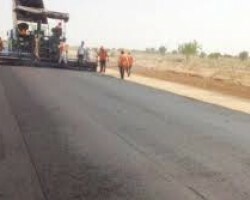 APA – Lagos (Nigeria) — Nigeria’s Minister of Power, Works and Housing, Mr. Babatunde Fashola, has said that the Federal Government has approved the commencement of work on Nigeria-Seme-Benin Republic road project. 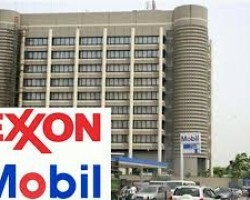 APA – Lagos (Nigeria) — Nigeria’s Minister of State for Petroleum Resource, Dr. Ibe Kachikwu, has debunked recent local media reports that ExxonMobil is not planning to leave Nigeria. 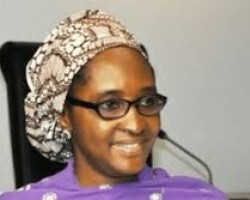 APA – Lagos (Nigeria) — Nigeria’s Finance Minister Zainab Ahmed has restated that there are no plans to remove fuel subsidy now by the government. APA – Lagos (Nigeria) — The assurance from the government that there are no plans to remove subsidy on petrol and the 5th anniversary of the abduction of more than 200 Chibok Schoolgirls by Boko Haram insurgents dominate the headlines of Nigerian newspapers on Monday. APA-Abuja (Nigeria) — Nigeria and Cameroon troops have killed 27 Boko Haram fighters in a joint clearance operation. 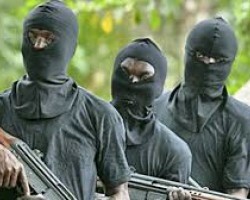 APA-Abuja (Nigeria) — Governor Abdulaziz Yari of Zamfara State in northern Nigeria has ordered security chiefs in the state to head field operations in the fight against bandits as the police have ruled out negotiations with the hoodlums.